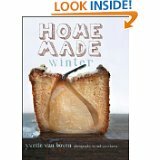 There is a lovely book written by a food blogger, Yvette van Boven, called “Home-Made Winter.” Photographs are by Oof Verschuren. The book was published in 2012. 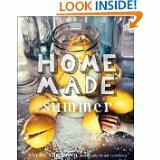 Not surprisingly, they also published “Home-Made Summer” together in 2013, which I also own. The whole idea of the summer and winter cookbooks really swept me off my feet, because I am so seasonally oriented. This isn’t just with the case of food. I change everything with the seasons, from my home decor to the lipstick I wear. And I’m not talking holidays. I’m talking seasons. I take them very seriously. The Winter cookbook is inspired mainly by Yvette’s native land of Ireland; her summer book inspired by her love of adopted France. 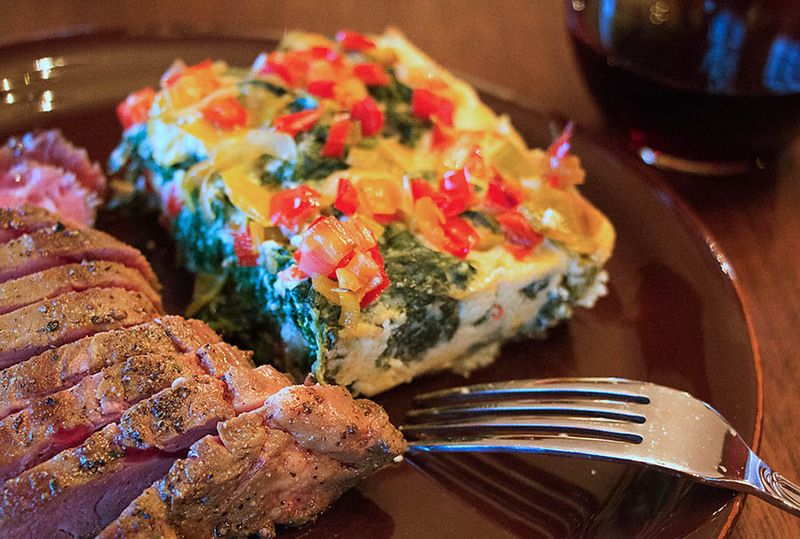 The recipes run the gamut from breakfast through dessert, plus drinks. There are also some holiday dishes included. The photos are a real delight, especially the ones featuring Yvette herself. She definitely doesn’t take herself too seriously. Now, you may wonder why I chose this recipe out of Home Made Winter? There are two reasons. First of all, even though it’s March, spring has not sprung where I live. I’m not running around outside in shorts planting tomato seedlings, and my strawberry plants don’t even look perky. It’s cold. 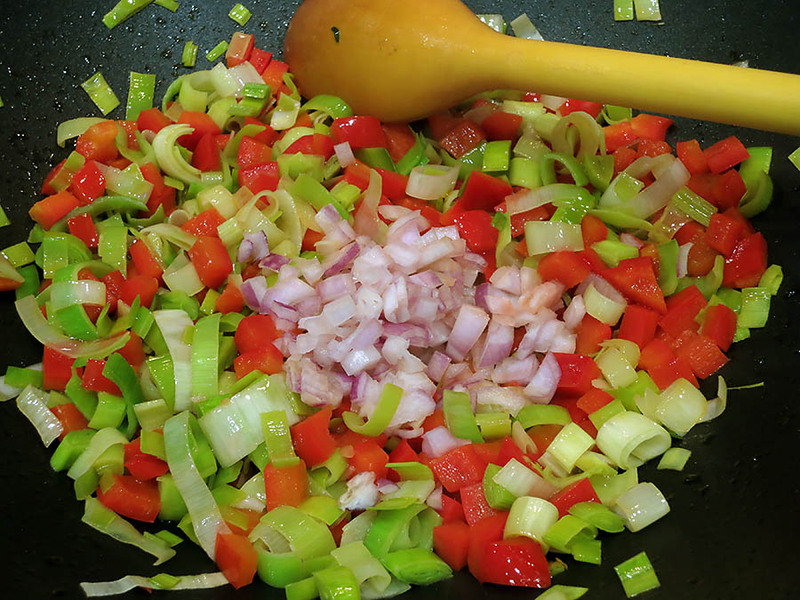 Secondly, I’ve never baked a risotto, so I decided this was a good time to start! 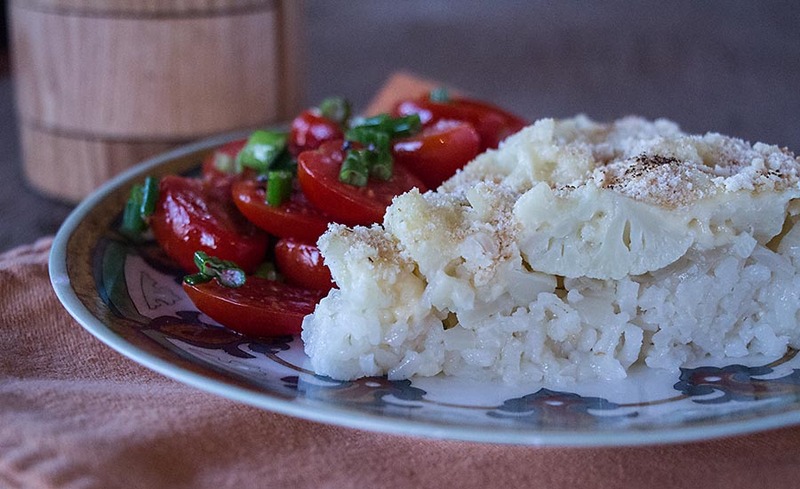 This recipe is probably not representative of the recipes in Ms. van Boven’s book, but it jumped out at me, not just because the risotto is baked, but because it includes cauliflower and Gruyere. Trim the cauliflower by removing the core. 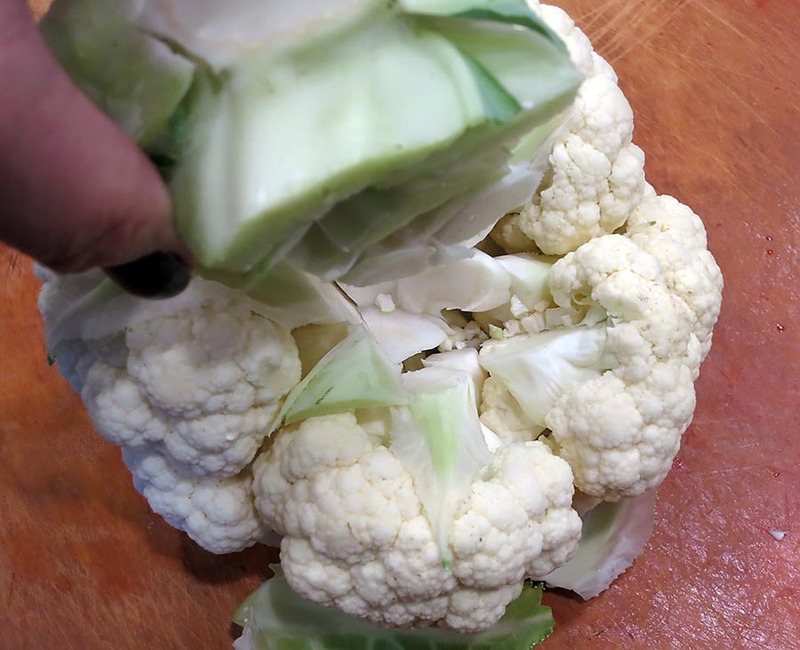 I usually make about 5 slices into the center of the cauliflower, slicing inward, until it comes out on its own. 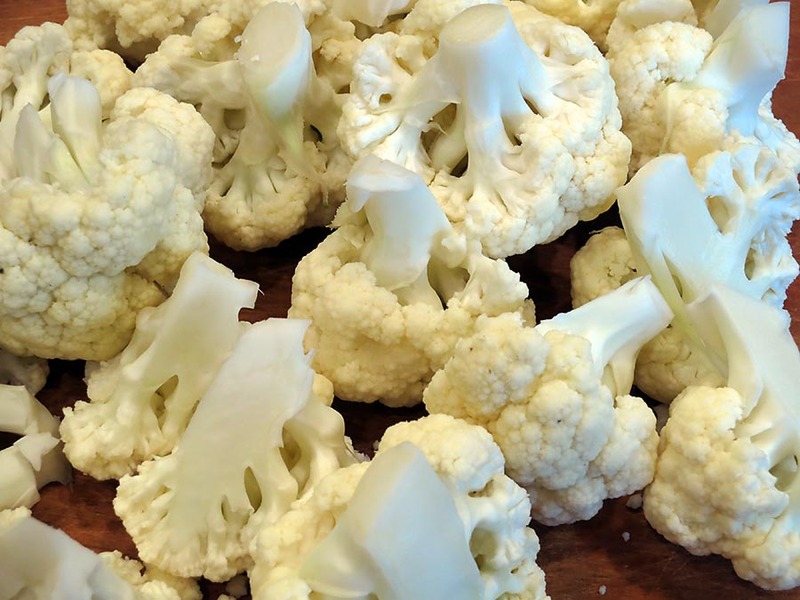 Remove excess leaves, then break up the cauliflower into florets. 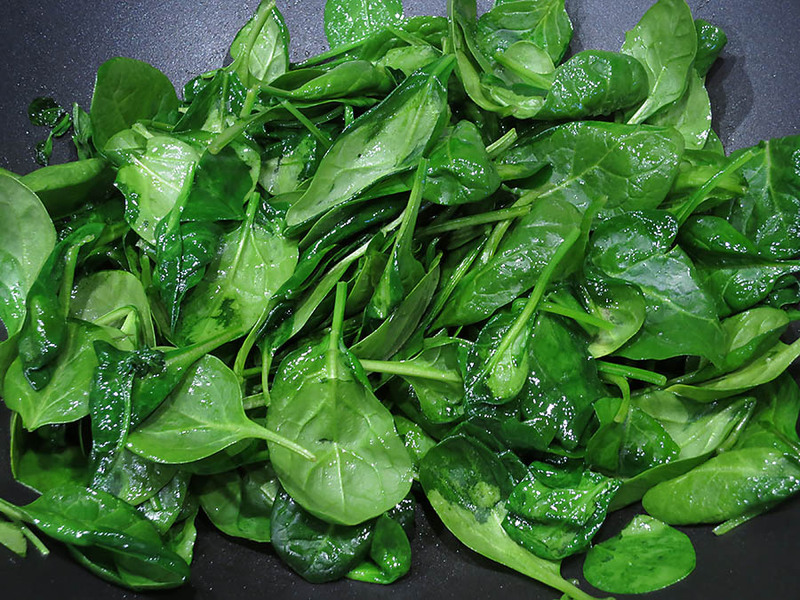 Steam the florets until they’re just tender, about 10 minutes over boiling water. 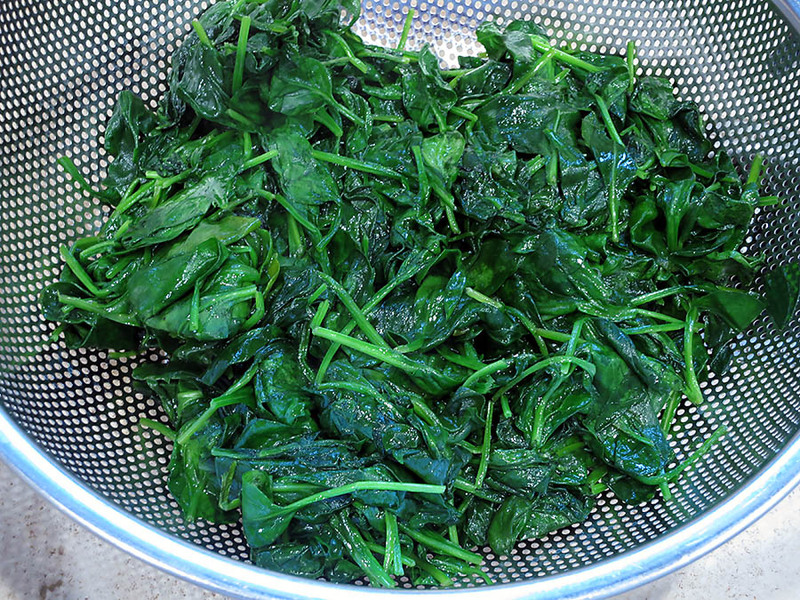 Let cool, then place them on the cutting board and chop them coarsely. Heat a 12″ cast-iron skillet on the stove over medium heat. 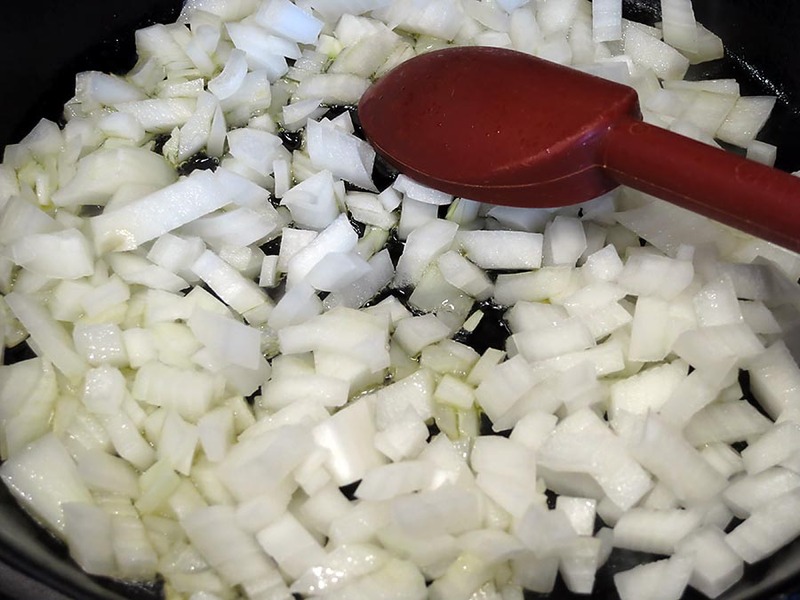 Add the onions and saute them for a few minutes. 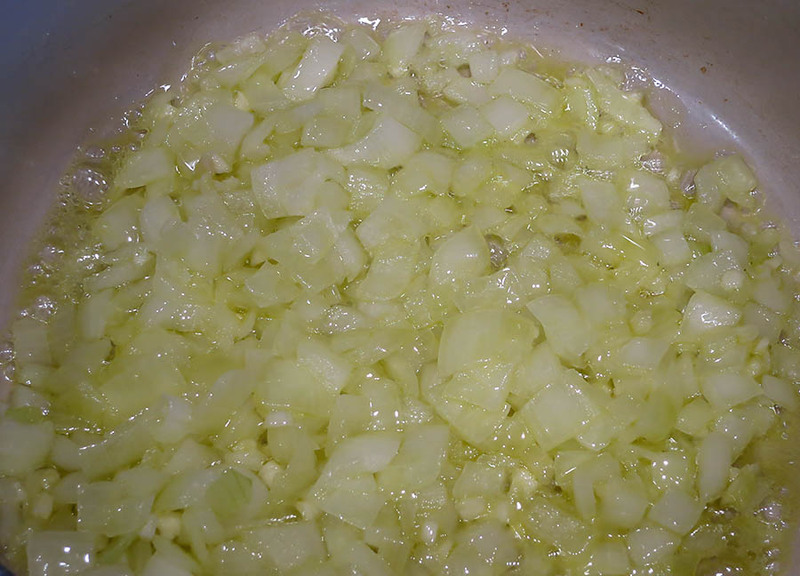 Then stir in the garlic and saute for barely a half of a minute. 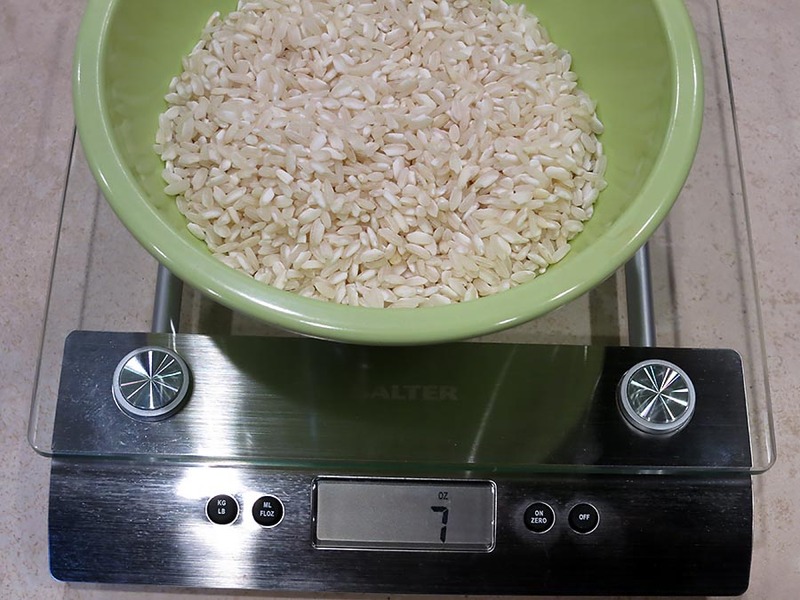 Weigh out the rice. 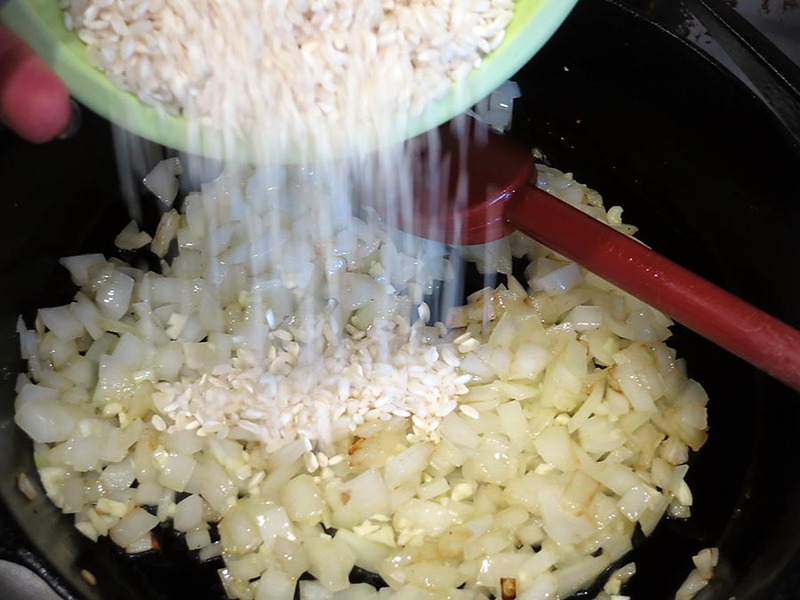 I used arborio, but any risotto rice would work in its place. 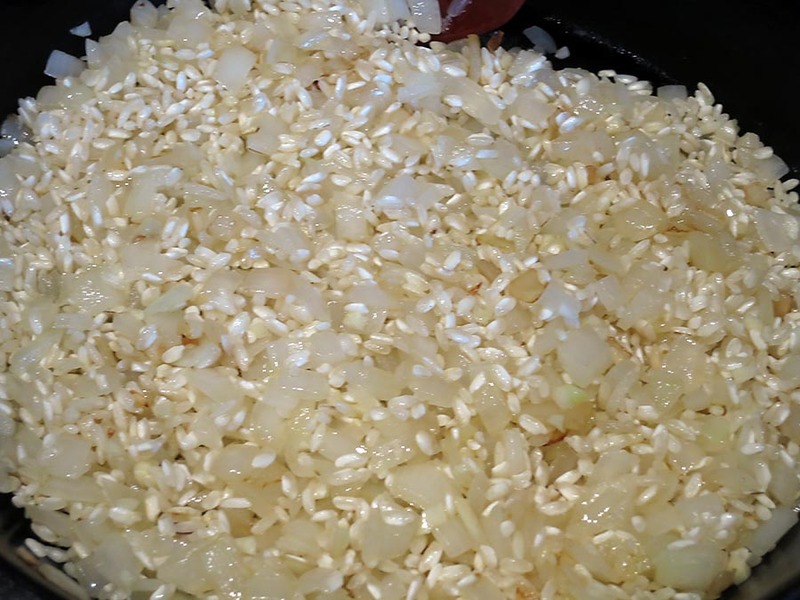 Pour the rice into the onion-garlic mixture. Stir well for about one minute. All of the grains of rice should be glistening. Then pour in all of the liquid. 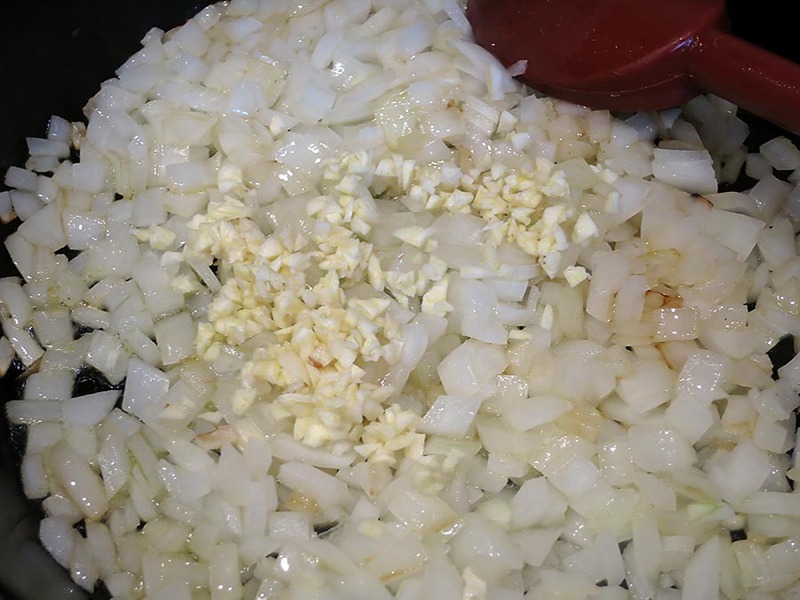 Bring the liquid to a boil, then carefully place the skillet in the oven. Top with a tight fitting lid, and bake for 25 minutes. It will look like this when it’s fully baked. Individual oven-proof dishes would have been very pretty for serving purposes, but it would have really been challenging to divide everything equally, when the rice to liquid ratio needs to be correct. I actually left the lid on the skillet for another 15 minutes, to insure that the rice was fully cooked. Then I removed the lid from the skillet. The original recipe called for a large amount of bread crumbs, in my opinion. I just used a couple of tablespoons of my home-made bread crumbs to add some texture. 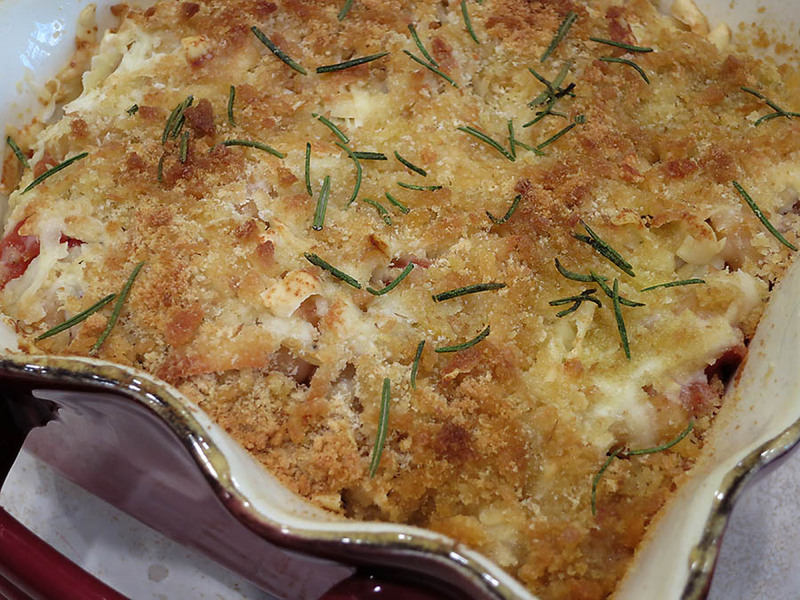 If desired, the breadcrumbs can be mixed with dried herbs, or even fresh parsley, before being sprinkled. I left things plain for the purpose of testing my first baked risotto. At this point, the skillet can be placed under the broiler for browning purposes, but I left it as is. Truth be told, I got out my little butane torch for this purpose. It wasn’t working well so I refilled it. I thought I waited long enough, but somehow some butane leaked and the whole thing caught on fire. I screamed and did what any intelligent person would do and threw it on the floor, nearly missing my dog. Fortunately, the flames retarded quickly. It’s good I have a non-flammable floor. But I was more worried about my very inquisitive dog, as well as my one hand that’s now as smooth as a baby’s bottom. Note to self: make sure to ask for a new butane torch for Christmas. To serve, I sliced a wedge of the baked risotto because I thought it would be pretty, but there just isn’t enough cheese throughout the risotto to keep things stuck together. Nonetheless, I served the wedge alongside a fresh tomato salad. I must say it was delicious. It helps if you love cauliflower, of course. verdict: The top of the baked risotto looks a bit anemic – I think I probably should have taken the time to brown the top. But the looks of it doesn’t reflect the full flavors. However, I’m not really sure what purpose the arborio rice served. I think it could have been any white rice, or even brown rice, given a longer cooking time. But it was fun, and as a side dish it went very well on subsequent days with both steak and chicken. 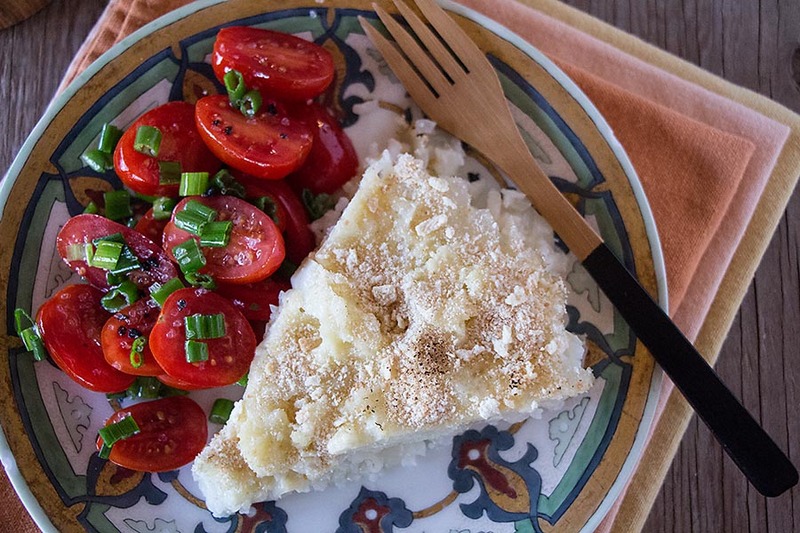 I would call it a rice-cauliflower gratin. If I have one complaint about this book, it’s that the author doesn’t go into many details, such as pan dimensions, or number of servings. So novice cooks might be a bit challenged. If you want to check out Yvette’s blog first, here it is. She’s adorable, and has published other books than these as well. 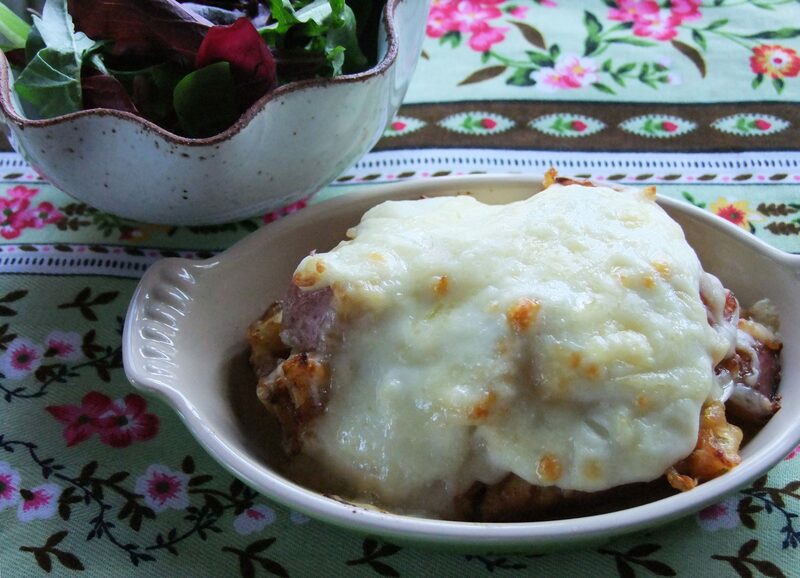 Can you have fun creating a gratin? Absolutely yes! Because there are no rules. It’s just a matter of using what you have on hand. 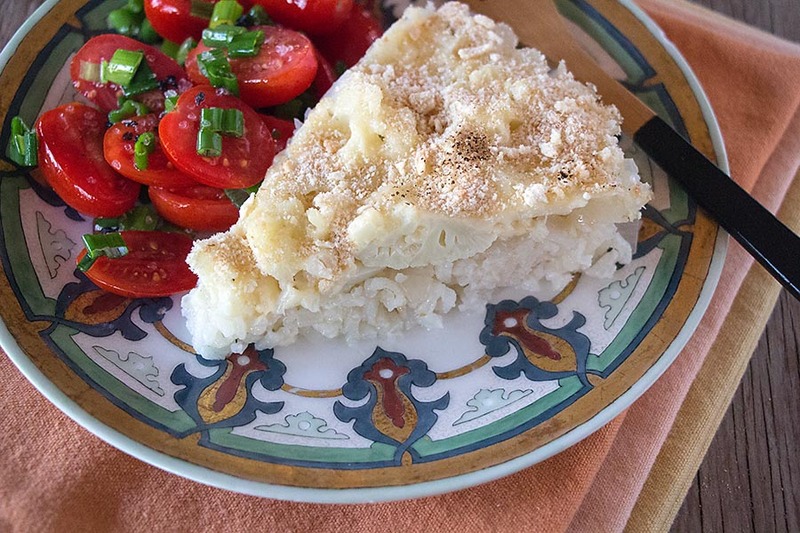 We all know and love rich, creamy potato gratins, but during the summer months, it’s fun and easy to create your own customized gratin using your garden vegetables or those from a farmer’s market. 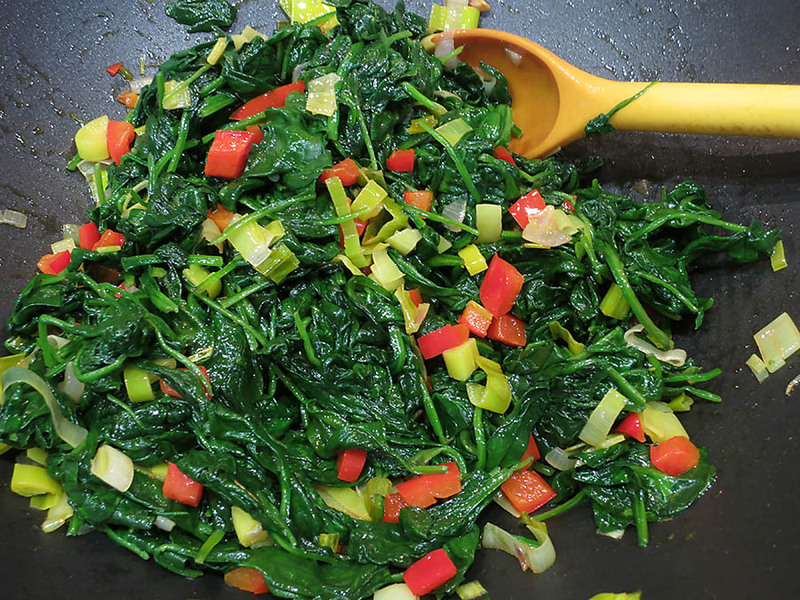 And because summer veggies are more watery than potatoes, no cream is required. 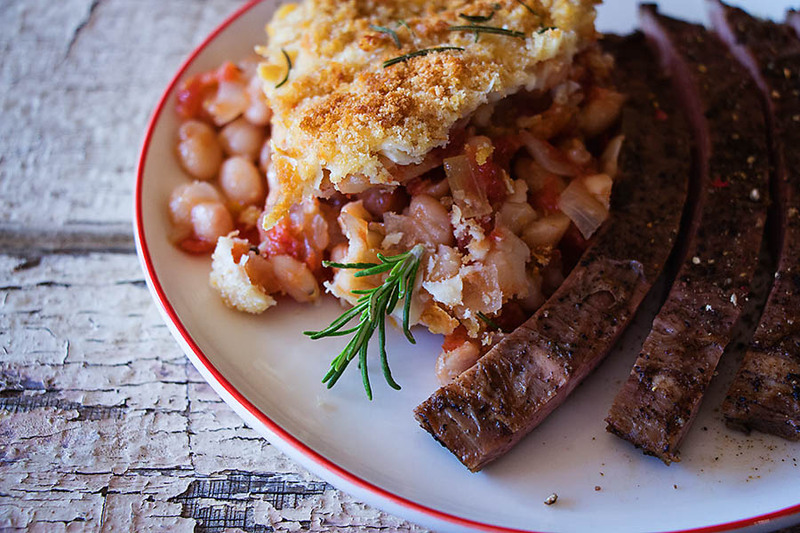 A gratin isn’t absolutely necessary, but sometimes you get tired of roasting and grilling and steaming. 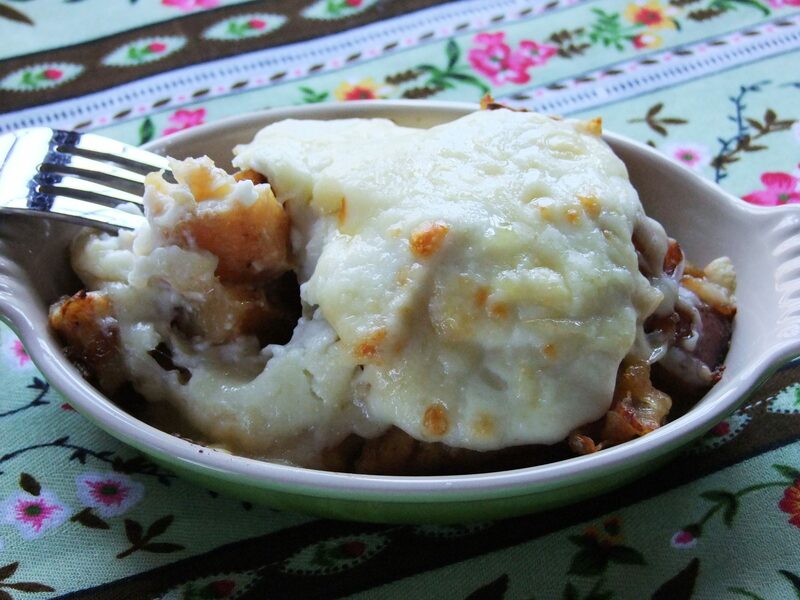 A gratin just provides a slightly fancier layered dish that is delicious. 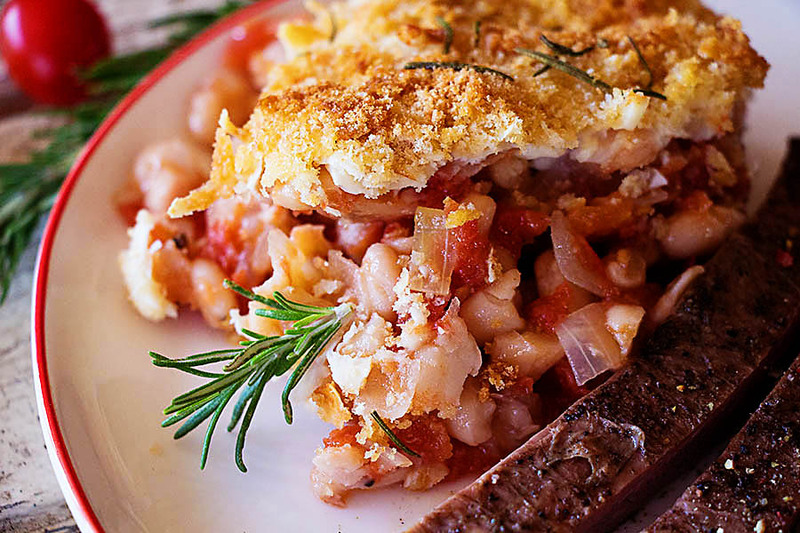 Plus you can add cheese, so it’s definitely a different kind of win-win vegetable dish. 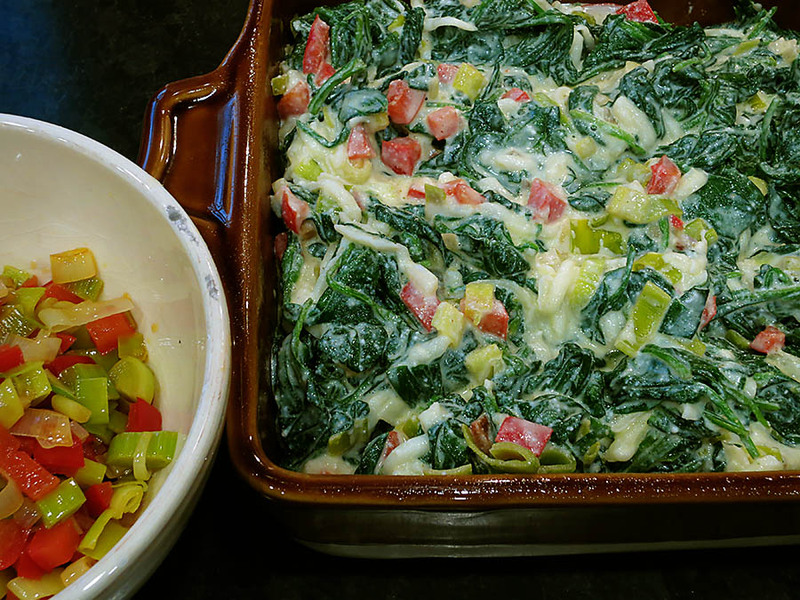 Choose a dish, preferably a relatively deep baking dish. It can be square or round, it doesn’t matter. Then pre-heat the oven to 400 degrees. 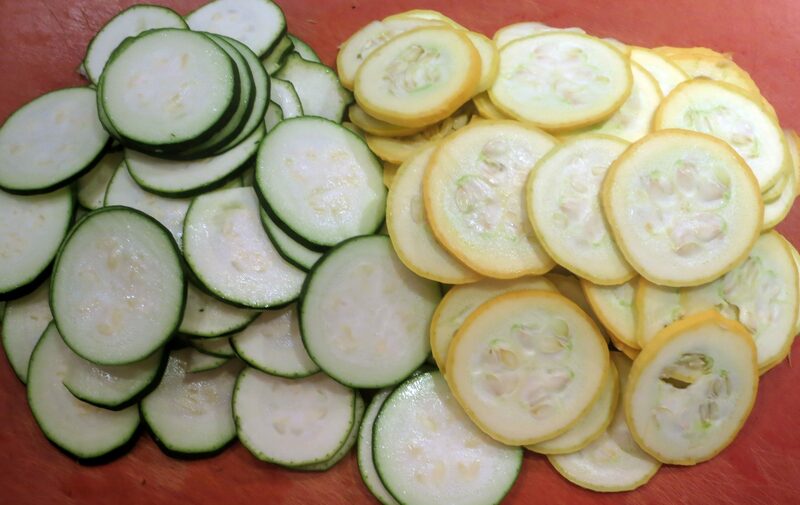 Begin adding the zucchini and summer squash rounds to the dish in a layer. Season with salt and pepper. 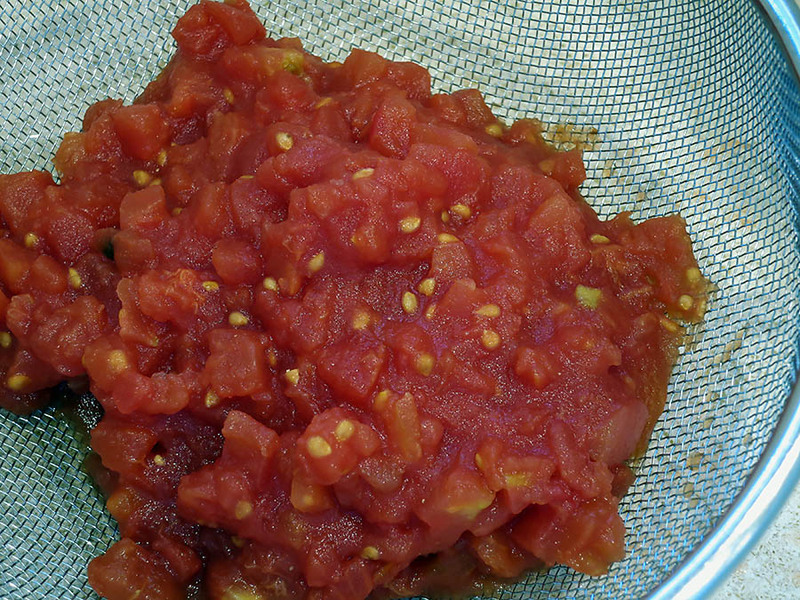 Then add the slices of one tomato. Season with salt and pepper again. 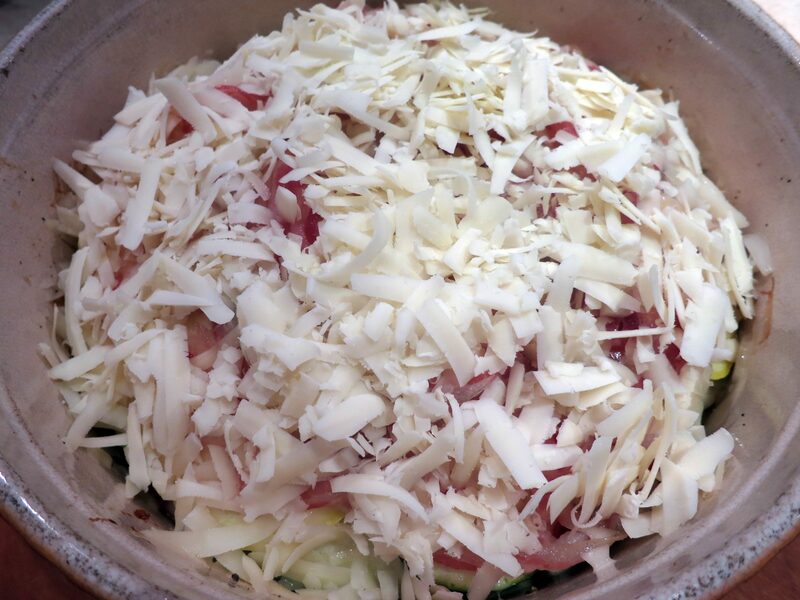 Add some of the grated cheese. In my case, I just happened to have some buffalo mozzarella left over, so I used that. Anything that melts well and will help hold the layers together will work. 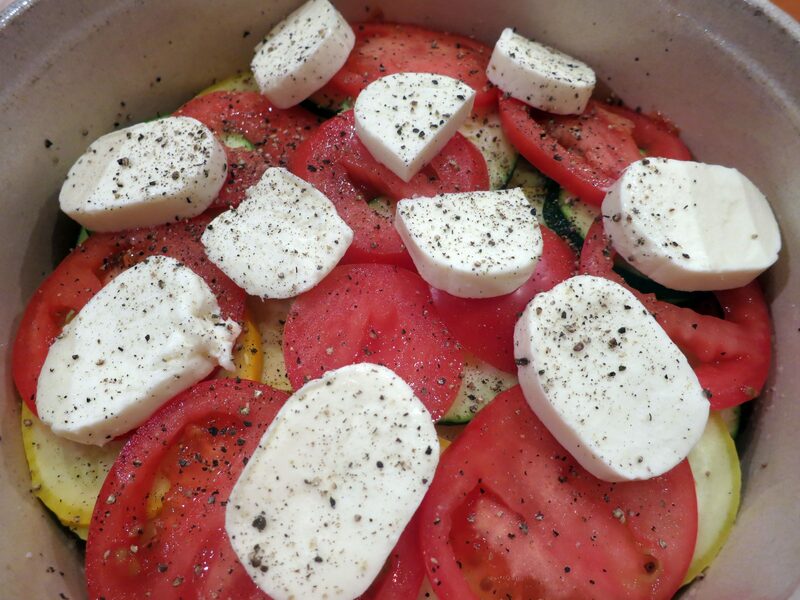 Continue with the remaining zucchini and squash, and tomato slices. Then top everything with the pancetta. 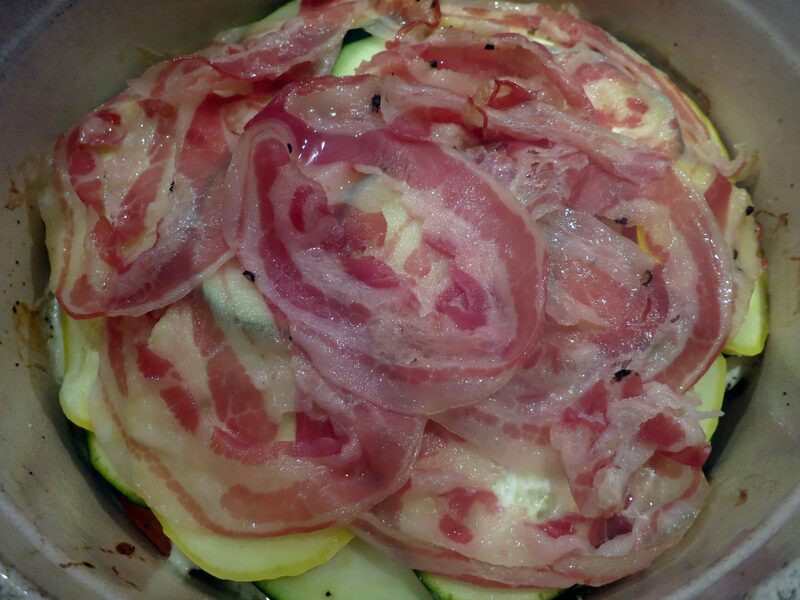 Pancetta is completely unnecessary, but I thought would add some nice flavor to the vegetables. 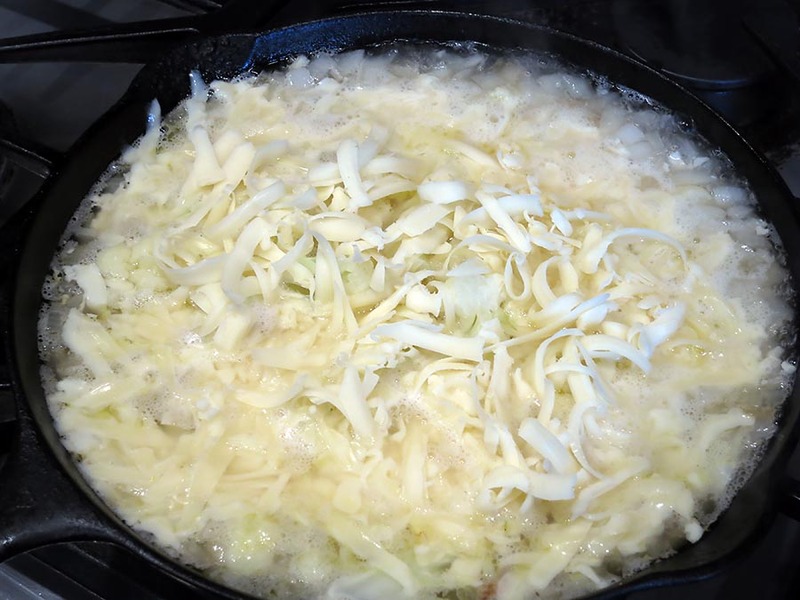 Then top with the remaining cheese. 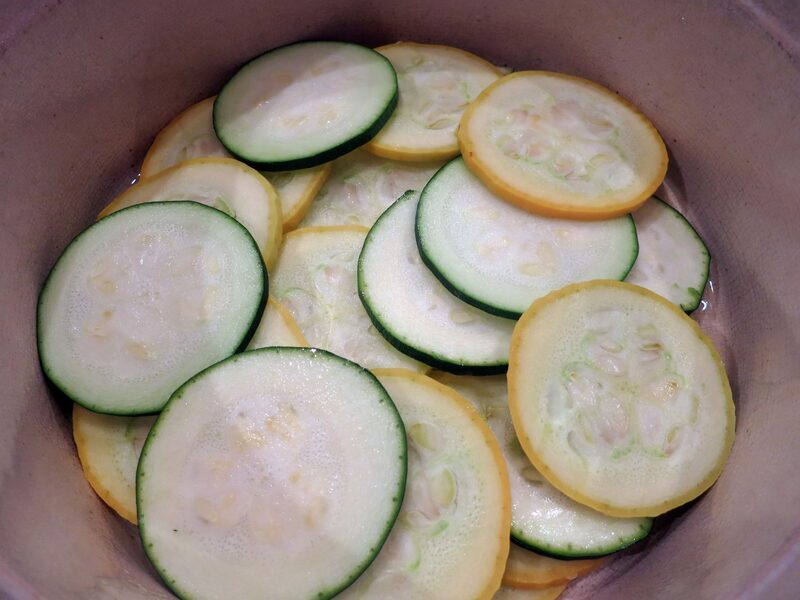 Now, there will be water in the bottom of the baking dish from the vegetables. You can either let everything cool and then carefully pour off the water, or, use a baster like you would use for your turkey, and remove the water from around the edges and discard. 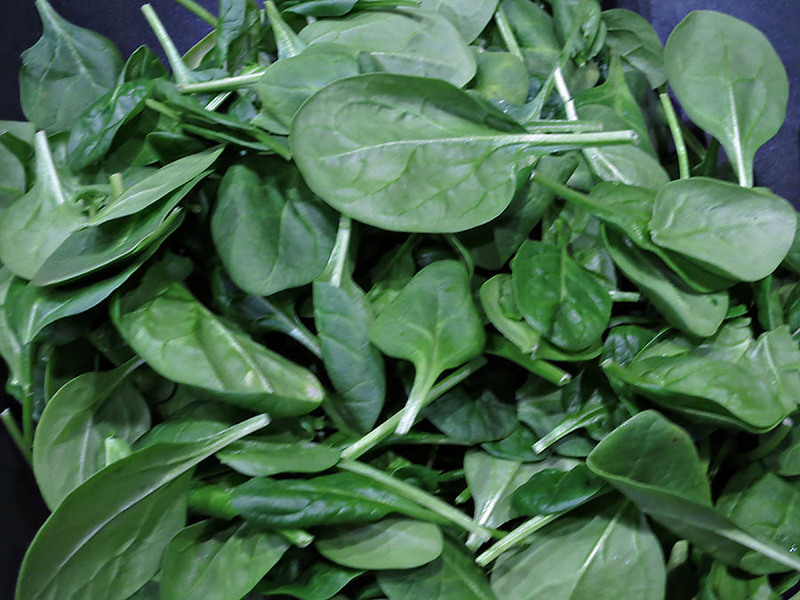 This is just inevitable because of the amount of water that is in vegetables. 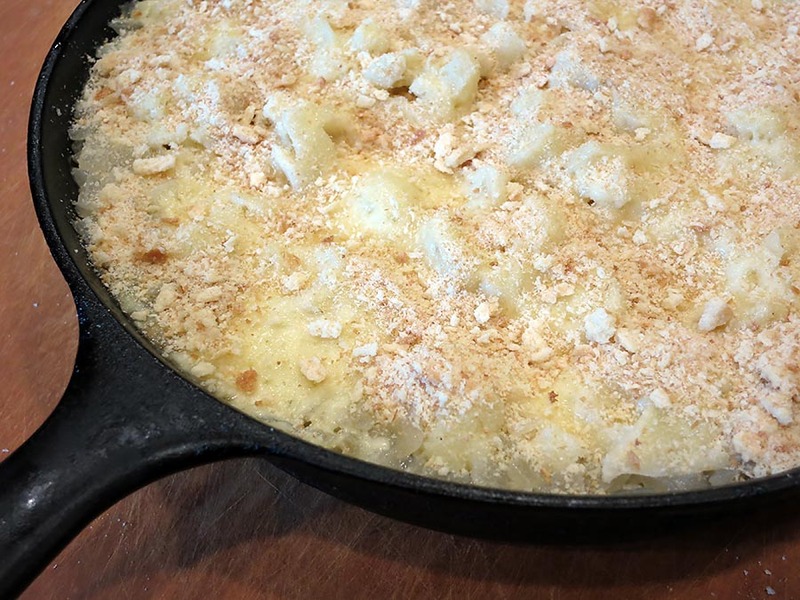 But this is also why no cream is required to make this kind of gratin! 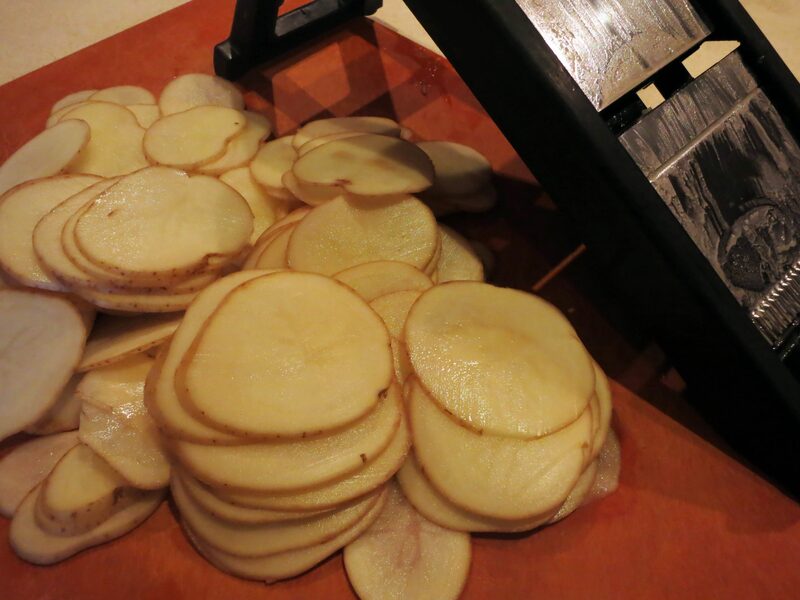 Because of the water issue, your gratin will shrink, as well. So when you make it, try to get it to the top of the baking dish as much as you can. 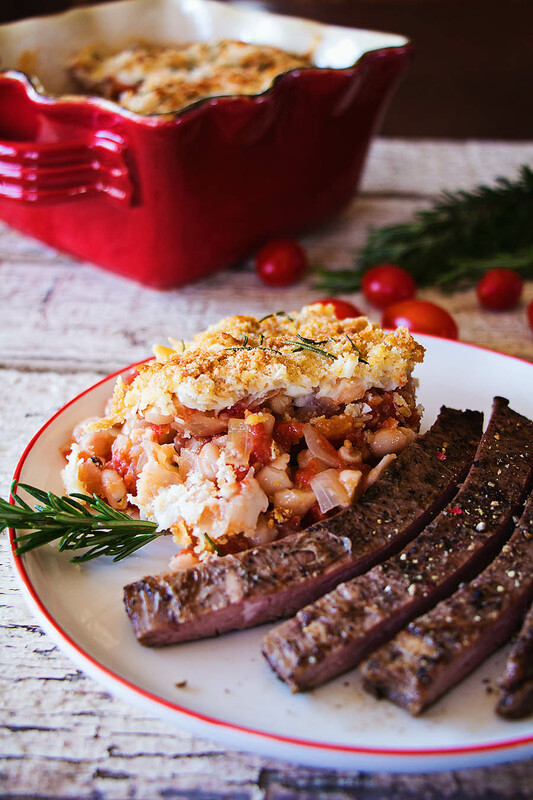 If you’re concerned about overflow, place the baking dish on a cookie sheet or jelly-roll pan first. 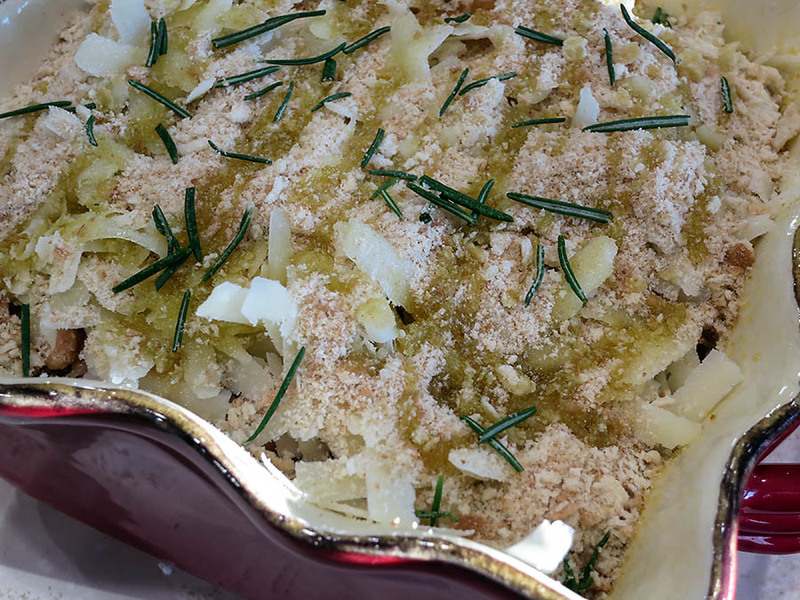 To serve this gratin, you can dish it out with a spoon like my husband did when I wasn’t looking, or slice it into pretty wedges. 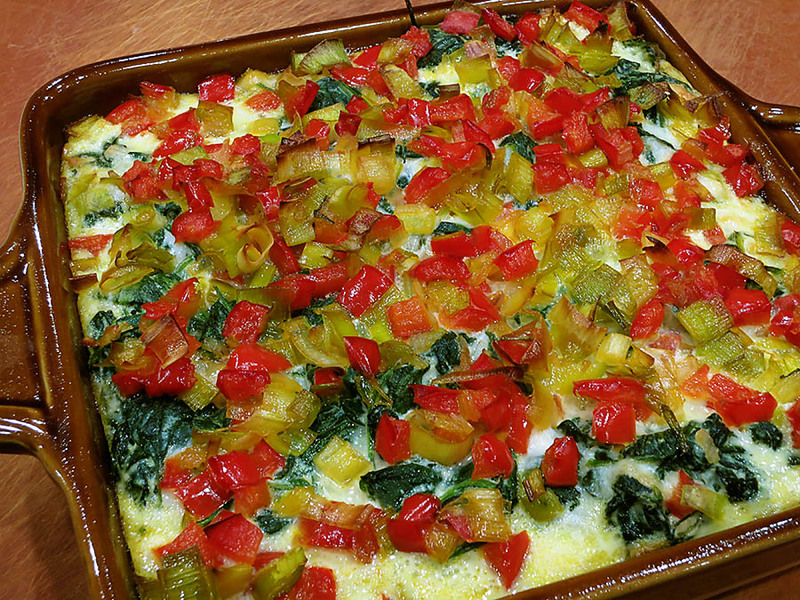 So hopefully I’ve inspired you to make your own vegetable gratin. You can layer the vegetable slices with sautéed onion rings for more flavor if you wish, and of course you can season with herbs of choice. 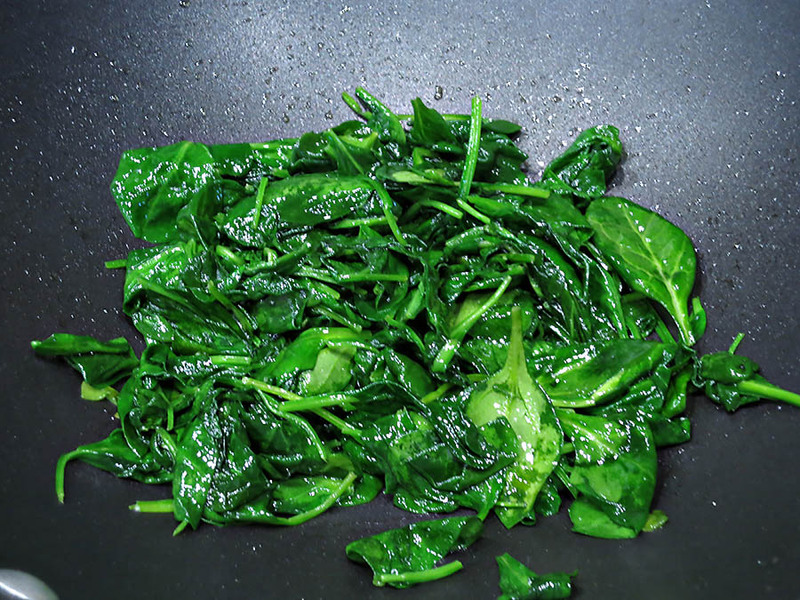 You could even brush individual layers with pesto, and dot them with sun-dried tomatoes! It really doesn’t matter what you do – trust me, it will work! Maybe I should take a break making gratins for a while. My last gratin didn’t come out well, the Potato and Salmon one, and this one was sort of a disaster. Don’t get me wrong, they both tasted good. They just didn’t cook properly. And I even followed the directions for both, which I don’t often do. 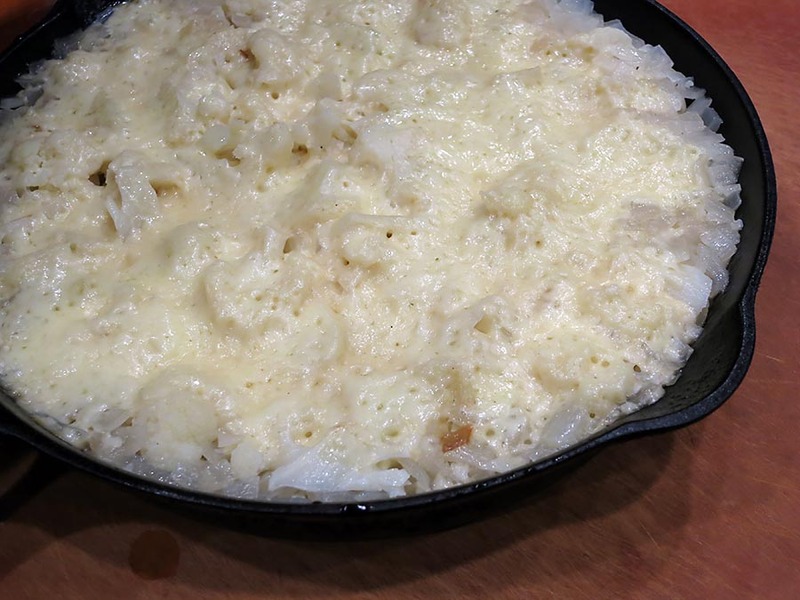 The funny thing is, the recipe I followed for the cauliflower gratin was out of Bobby Flay’s book, Bar Americain. I bought it because I’ve been to Bar Americain during a trip to New York City with my daughter. She needed to go for an interview, and so of course I tagged along for moral and dining support. We sadly went to Bar Americain only for drinks, because our dinner reservations that night were at Le Bernardin (incredible!). But it’s a very large and beautiful restaurant. It reminded me of some of Stephen Pyles’ restaurants – very chic, in a casual way. After seeing the menu, I knew I wanted the cookbook. Bobby Flay is extremely popular in the U.S. It seems like he’s been around forever, yet he still looks like a man-child! He must have 30 cooking or food-related shows on tv, because it seems he’s always on when I pass through the food channels. My favorite is still an early show, when he barbecued everything outside on his patio with a view of downtown NYC in the background. He barbecued meats, vegetables, limes for the margaritas, because he always made a pitcher of something alcoholic, and then he’d barbecue peaches for a dessert. He seems nice and easygoing as a person. But back to this recipe, I’m not sure what went wrong. But here it is as I made it, and anyone who has actually gone to culinary school can perhaps figure out what the problem was. Preheat the oven to 350 degrees F and butter a 10-inch baking dish. 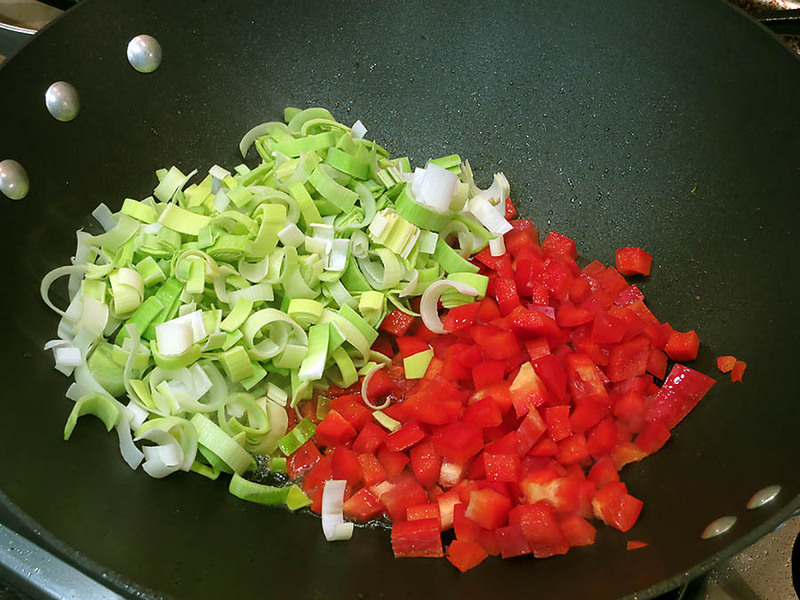 Pour the milk into a small saucepan and bring to a simmer over medium-low heat. 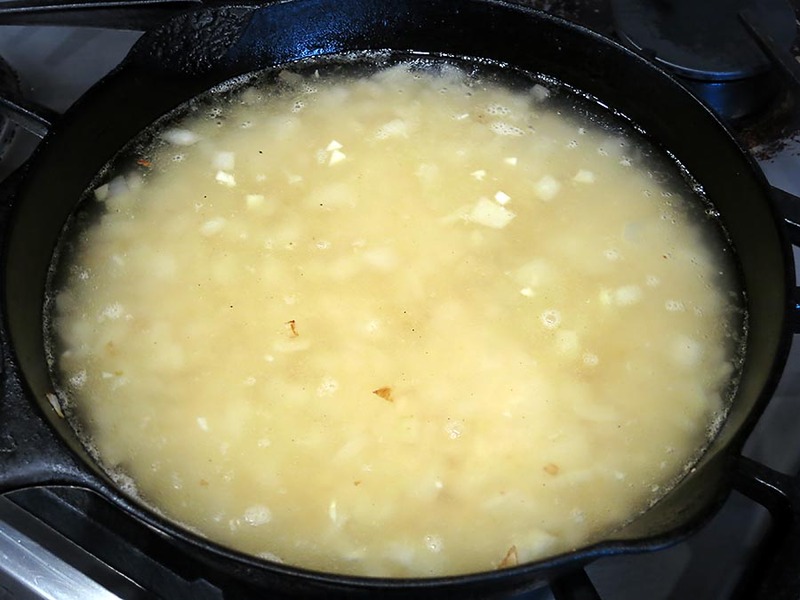 Melt the butter over medium heat in a medium heavy saucepan. 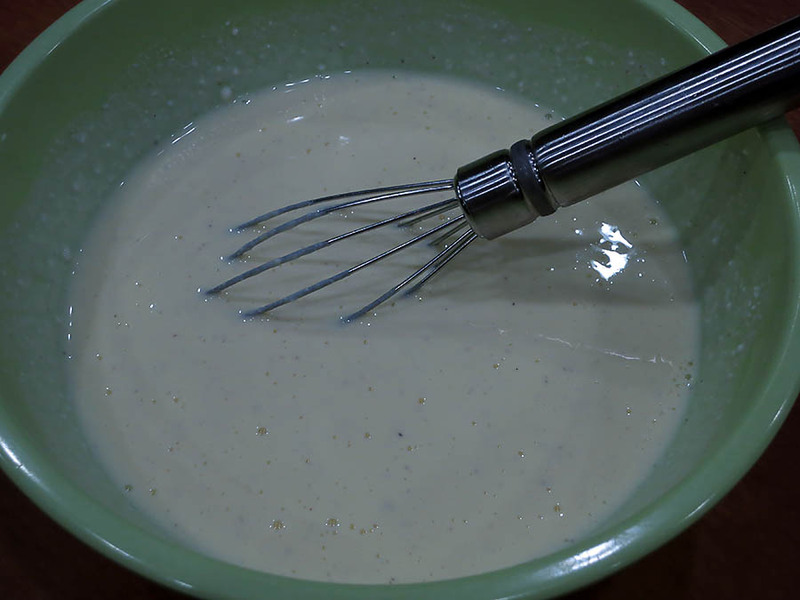 Whisk in the flour and cook for 1 minute; do not let the mixture brown. 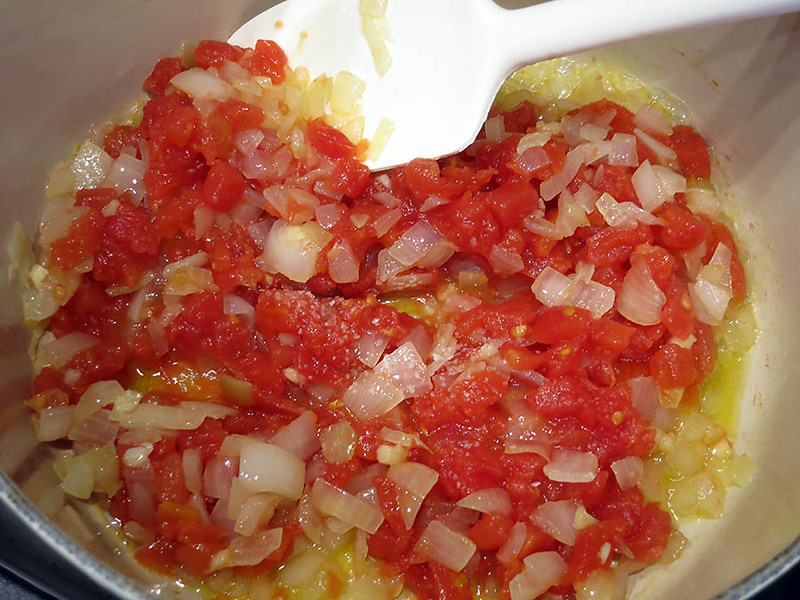 Slowly whisk in the milk, raise the heat to high, and cook, whisking constantly, until the mixture thickens, 3 to 4 minutes. 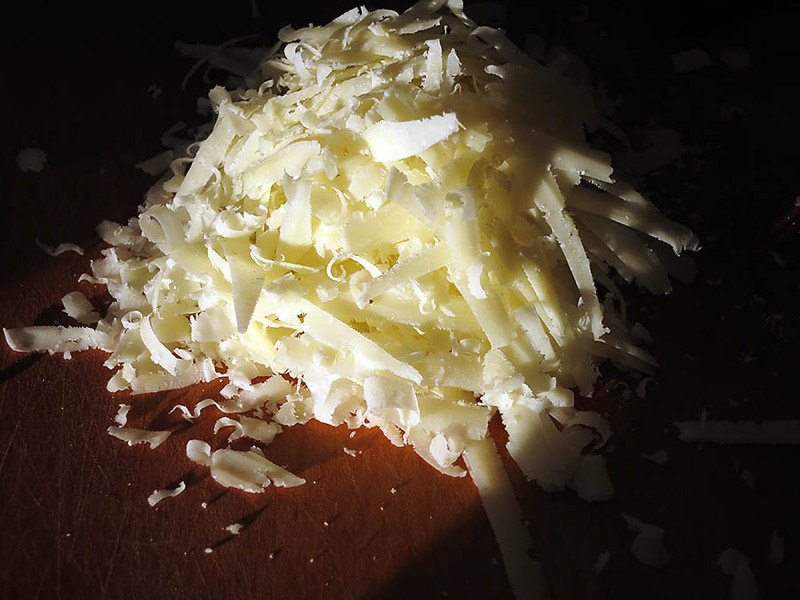 Remove from the heat and whisk in the Monterey Jack, half of the goat cheese, and half of the Parmesan cheese. Season with salt and pepper. If the mixture seems too thick, thin with a little extra milk. 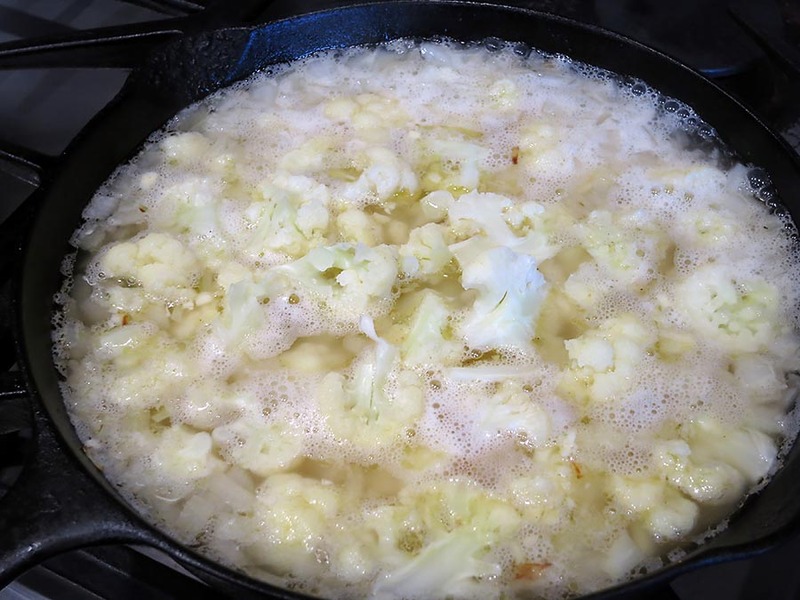 Transfer the sauce to a large bowl, add the cauliflower, and stir well to combine. 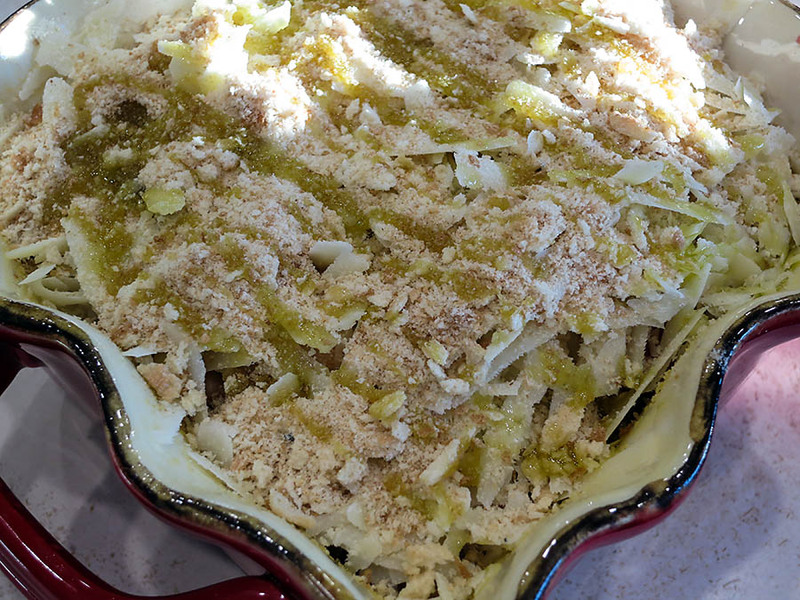 Scrape the mixture into the prepared baking dish and top with the remainging goat cheese and Parmesan. 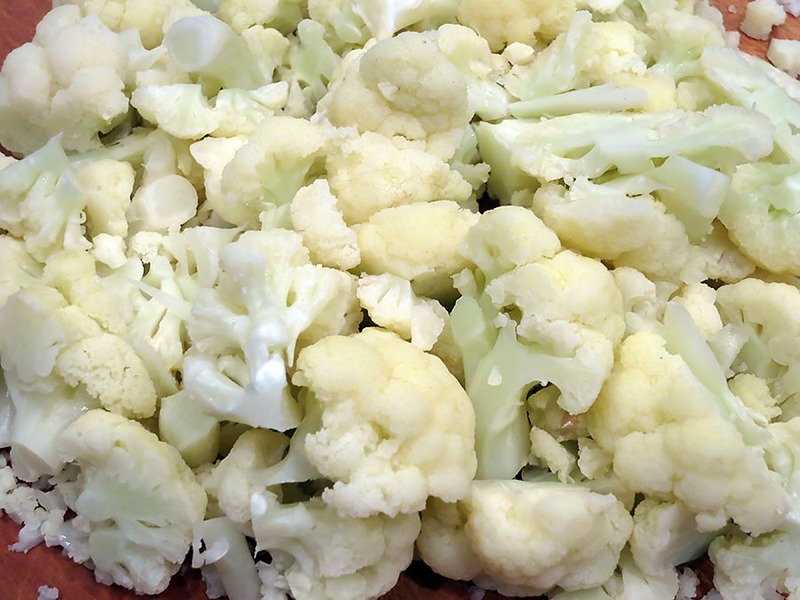 Slip a rimmed baking sheet underneath and bake until the cauliflower is tender and the top is bubbly and golden brown, 50 to 60 minutes. Remove from the oven and let rest for 10 minutes before serving. Now the only thing I did differently, was because I was too lazy to go into my pantry. My pantry is so full of food stuffs, that it’s difficult even to go get flour. So I substituted Wondra flour for regular flour when I made the roux. 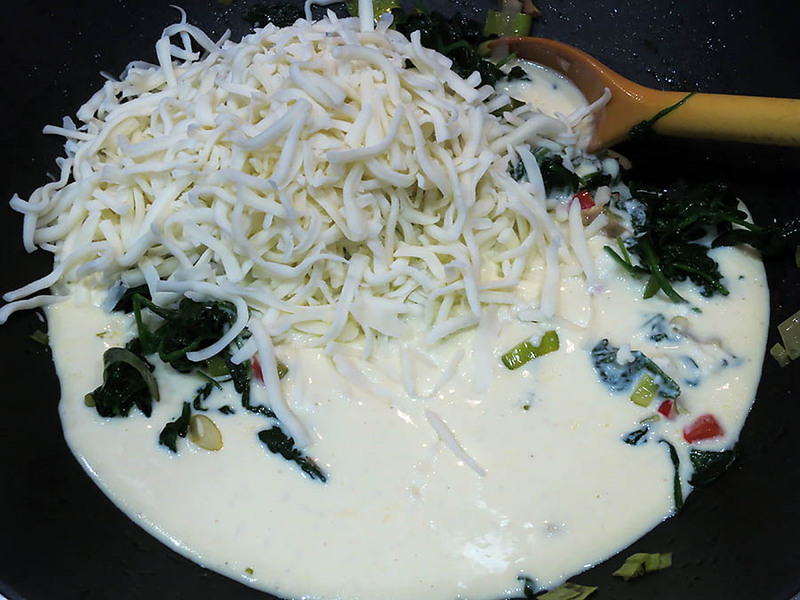 I added the warm milk and the sauce looked beautiful, but when I added the cheeses, the sauce curdled. I’ve never seen anything like it. 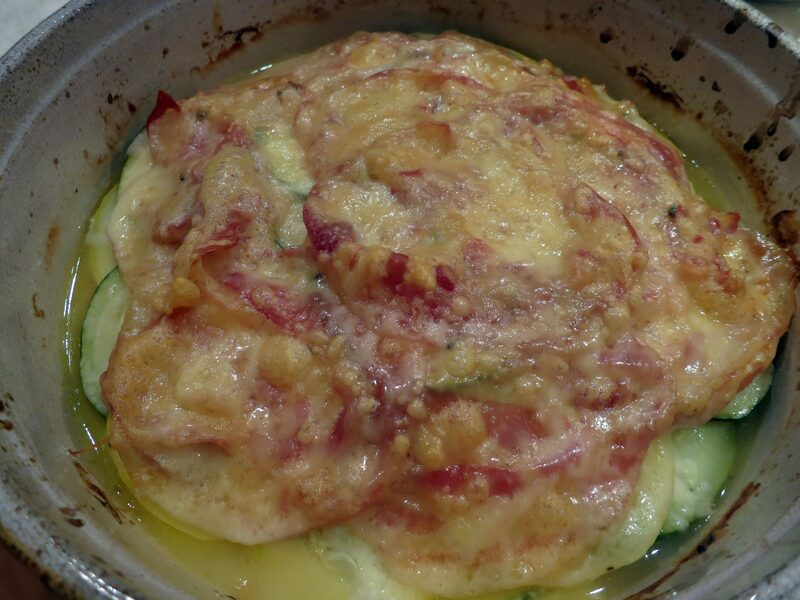 So when the gratin cooked, it become watery. I personally think there should have been some cream in the recipe instead of milk, but I still don’t understand the curdling. Anybody? 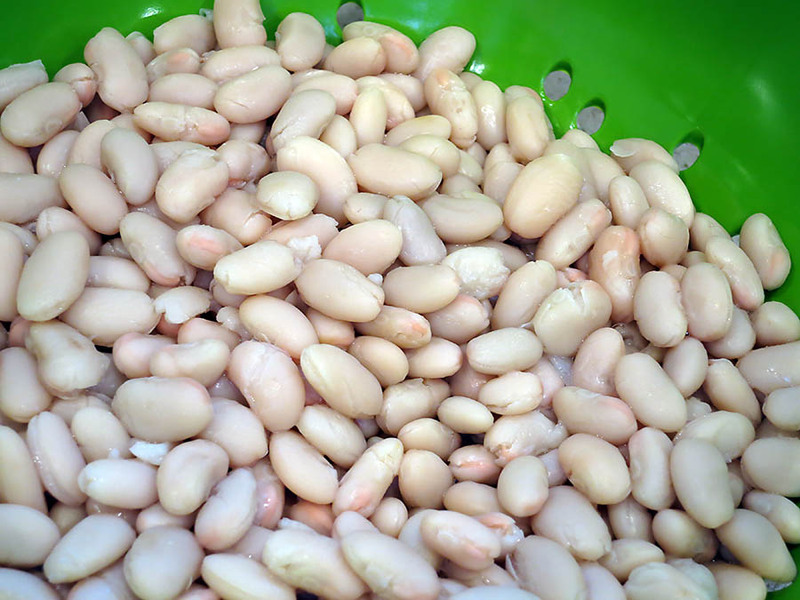 The real name of this dish is Laksloda. It is from the Time Life series of cookbooks Foods of the World. 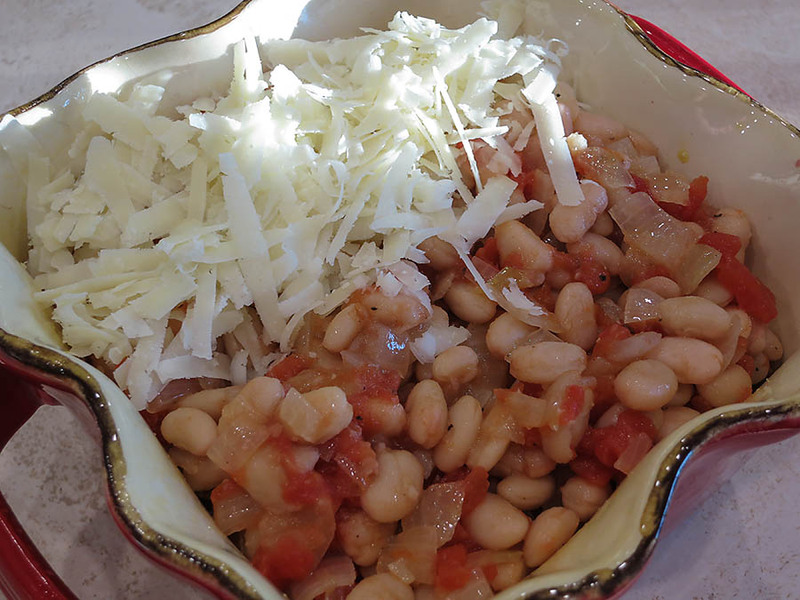 In 2013 I’ve been honoring various regions of the United States with recipes, and this one is from American Cooking: The Northwest. Just from the name alone it’s easy to figure out that there is a significant Swedish contingency in the Pacific Northwest. (This is also the region from where Swedish Meatballs originate.) The traditional name caught my eye, but I fell in love with the recipe because it contains smoked salmon. I can eat smoked salmon for breakfast, lunch and dinner. I prefer the lox variety, and if I’m forced to eat it with cream cheese, onions, and capers on bagels, I can do a pretty good job of it. 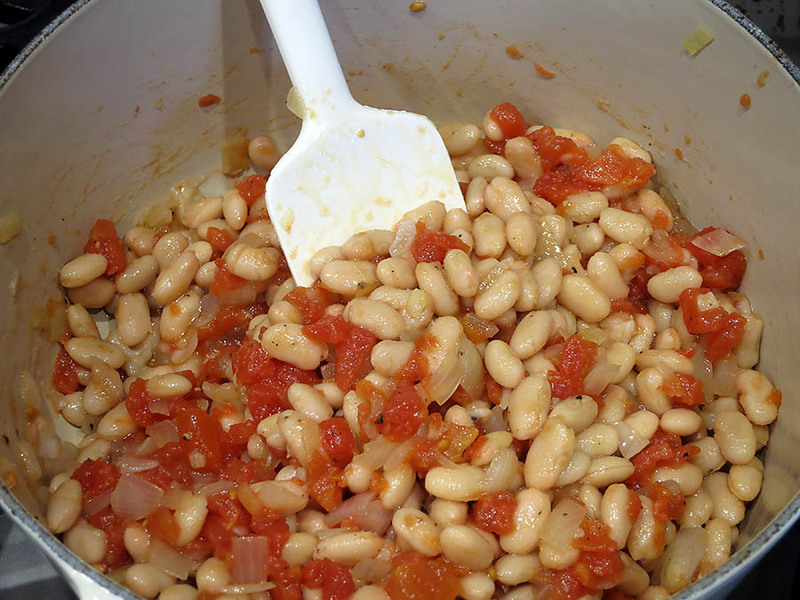 This recipe is very simple, although I would make a few changes, which I’ll mention below. 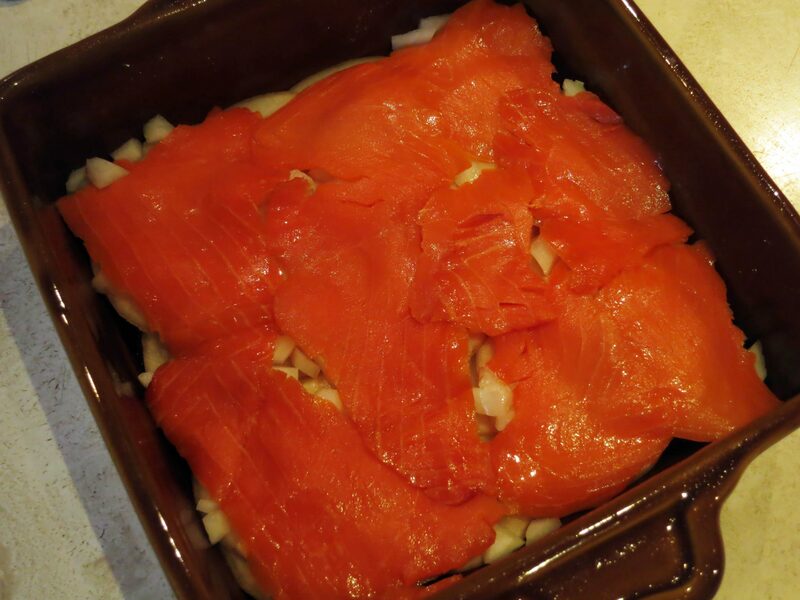 sprinkle them with 2 tablespoons of the onions, and lay half the salmon slices on top. Add another third of the potatoes, the remaining 2 tablespoons of onions and the rest of the salmon, and cover with the remaining potato slices. 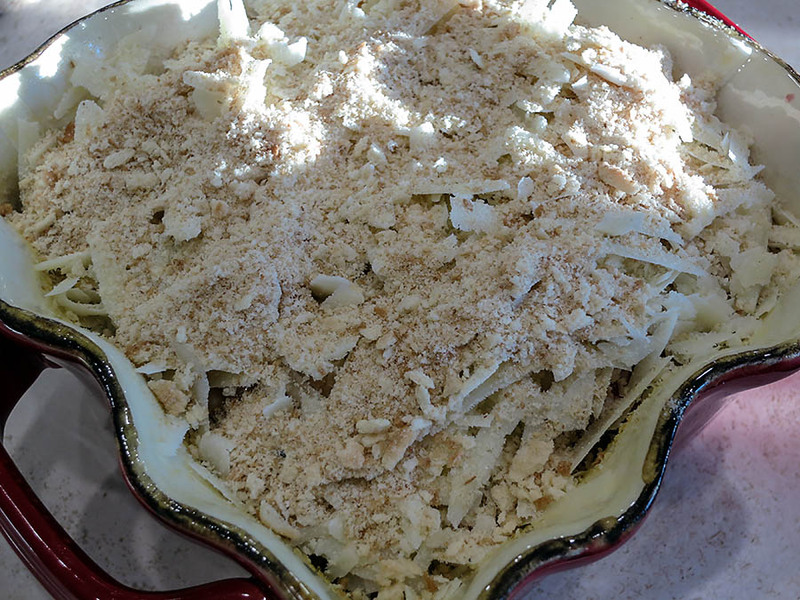 Pour the cream down the sides of the casserole, then dribble the melted butter over the potatoes and sprinkle them with the allspice and a liberal grinding of pepper. 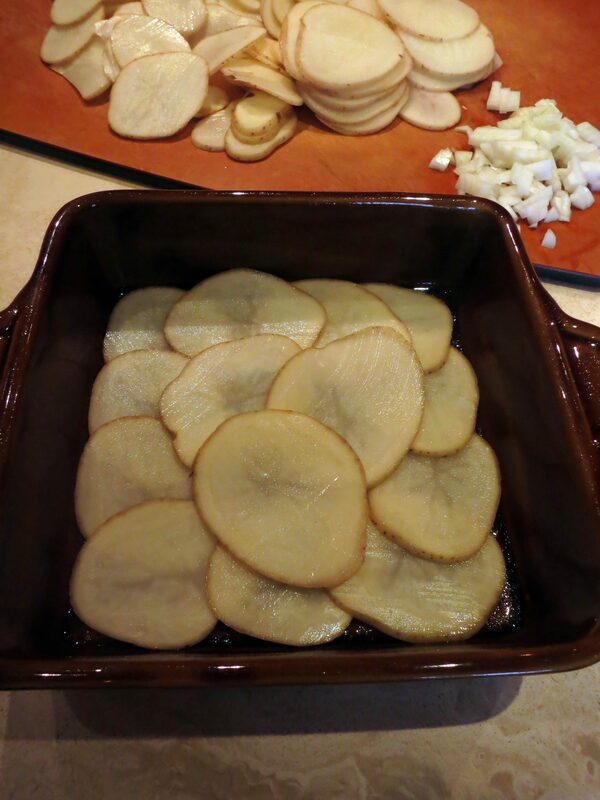 Bake in the middle of the oven for 1 hour, or until the potatoes are tender and show no resistance when pierced deeply with the point of a small skewer or sharp knife. 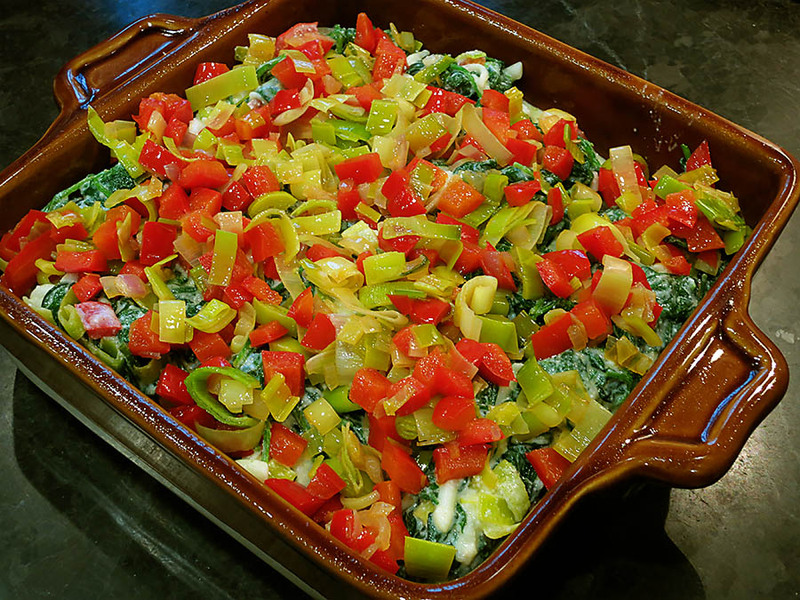 Sprinkle the top with parsley and serve at once, directly from the casserole. Verdict: I followed the recipe exactly, but I needed to cook this casserole a bit longer. When I went to serve it, there was still about 1 cup of the 1/2 & 1/2 in the bottom of the dish, so I would the next time use only 1 cup, and use heavy cream instead. Although it was tasty, it was on the watery side. 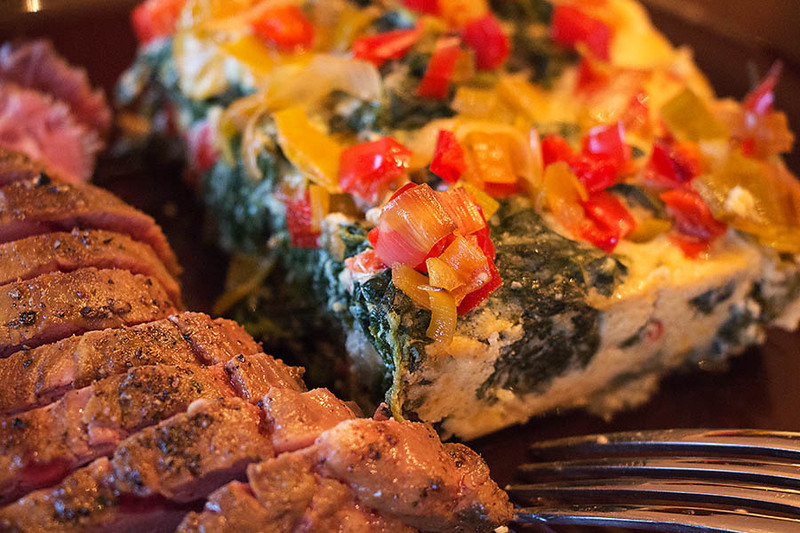 This dish would be fun with a little cheese, as well, and served at a brunch. I had it with a salad for lunch. I also just realized I had not peeled my potatoes, but I don’t think that had any affect on the recipe.